336 yachts started the race, eclipsing the record set in 2011. For the first time in its 88 year history, the Rolex Fastnet Race was won by a Two Handed crew. The father and son team of Pascal and Alexis Loison from Cherbourg, France on the JPK 10.10, Night and Day, finished the race in an elapsed time 3 days 18 hours 29 minutes and 57 seconds. After time correction using IRC, Night and Day won the Fastnet Challenge Cup. 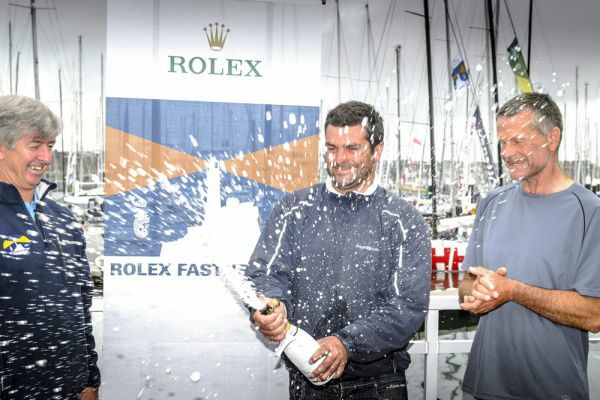 The Royal Ocean Racing Club created the first purpose built race village for the event and the winners received a five-minute standing ovation from over one thousands well-wishers at the Prize Giving in Plymouth.